Whether you're attending one of the events not to miss in the Mediterranean, preparing for the social scene at the Monaco Yacht Show or looking ahead to the next America's Cup World Series, stay stylish all season with our edit of the must-have superyacht party wardrobe essentials for men. 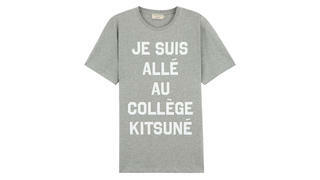 Maison Kitsuné started life as a record label in 2002 (co-founder Gildas Loaëc had been working with Daft Punk) and is still responsible for the best parties around the world. Donning this cotton T-shirt is the perfect way to ensure you look cool on the dance floor. To celebrate its sponsorship of the America’s Cup, Louis Vuitton has created a special collection that wears its yachting heritage with pride without losing any of the brand’s renowned style. Seersucker is perhaps this summer’s coolest fabric and is ideal to wear on balmy nights. 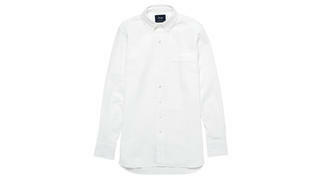 Hand-crafted in the UK, this take on a button-down shirt makes casual look a little dressier. 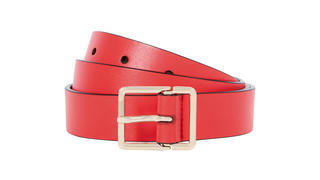 True style is all about the details and an eye-catching “pop” of colour such as this coral belt can transform an everyday outfit into something special. 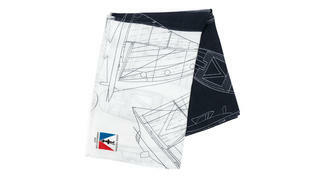 If you dress down on board, you can still make an impression by wearing stylish accessories. 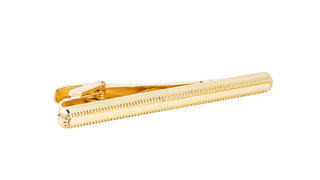 This knurl rose-gold-plated tie bar will add pizazz to the plainest of ties. 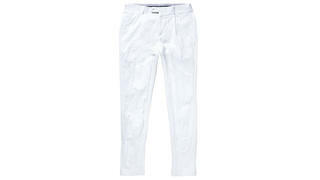 Twin a pair of slim-fit white cotton trousers with a T-shirt and a blue linen blazer and you’ll have the smartest uniform to effortlessly take you from a relaxed lunch to evening cocktails. Once considered the humblest of shoes, the espadrille has become a fashion favourite again. 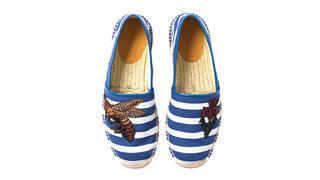 This bee-emblazoned version takes you from ship to shore with fashionable ease. 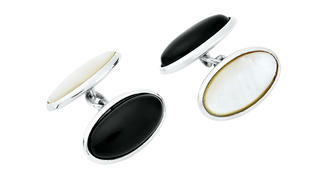 These reversible cufflinks in onyx and mother-of-pearl are perfect with both black and white tie – or shake up your look by wearing a different coloured one in each cuff. Hedi Slimane may have stepped down as the brand’s creative director, but his influence lives on. This gold metallic jacket epitomises his good-time rock’n’roll aesthetic perfectly, as it will yours.